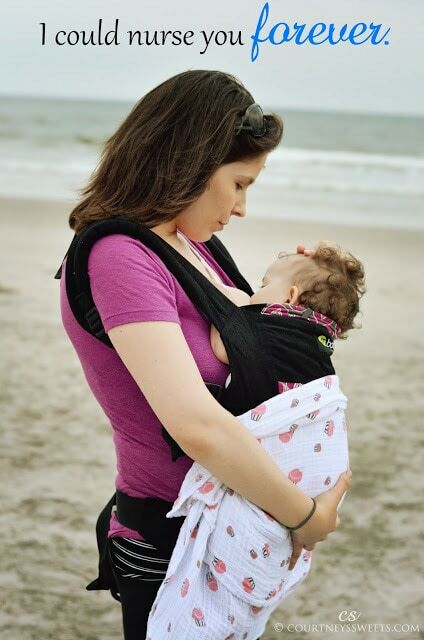 When I started out my breastfeeding journey with my daughter, I thought we’d stop when she was a year old. I wanted my milk to be the most nutritious it could be and we turned to New Chapter for our vitamin. I told myself that it was my personal goal, and I couldn’t wait to succeed. Starting out it was hard, her latch was not good at all and caused me a lot of pain. I had too much milk, so it was hard for her. (not producing enough milk? 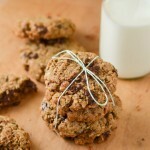 try our lactation cookie recipe!) I stuck with it knowing that it was the best for her, not realizing it was the best for HER. 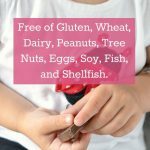 She turned out to have a very rare food allergy and was allergic to most foods up until she turned three years old. 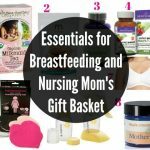 She has known breastfeeding for most of her life now and for her, it’s completely normal to just nurse and nurse all day. In the past year, we have gone down in frequency, but she still nurses to bed, when she wakes up and here and there throughout the day, and that’s okay! I know it’s imperative for me to have my health and wellness in check, after all, I’m still taking care of a tiny human with my body inside and out. 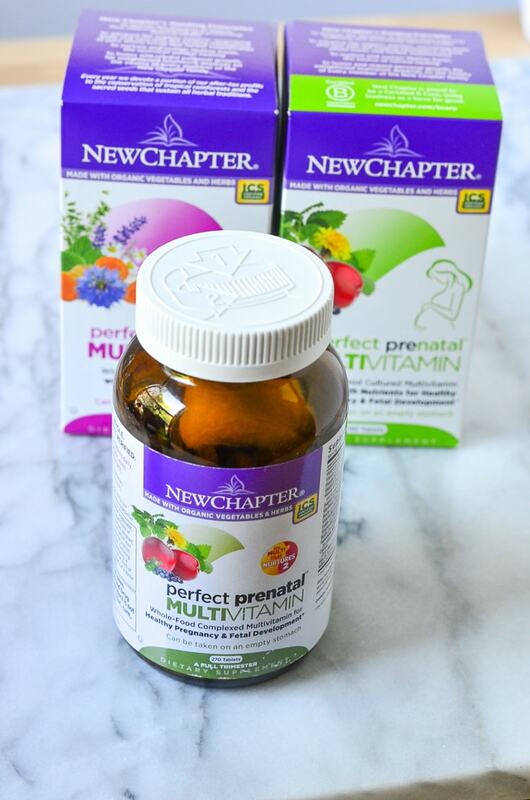 When I became pregnant and even after, I have always used New Chapter Vitamins. When you become pregnant, it’s crucial to take prenatal vitamins before, during and even after conceiving if you’re breastfeeding. 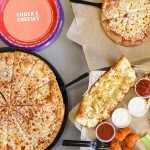 Also, it’s also important to eat a healthy diet including fruits, vegetables, whole grains and lean proteins. The New Chapter vitamins I received (and used before even taking this campaign) contain Vitamin D3, Iron, and folate which are critical nutrients when creating a baby. When we’re pregnant, our body needs more nutrients – vitamins and minerals. Why did I choose New Chapter? I wanted something that was easy on my stomach, can be taken with or without food, and whatever time during the day as I please. I also wanted something that was whole food based. 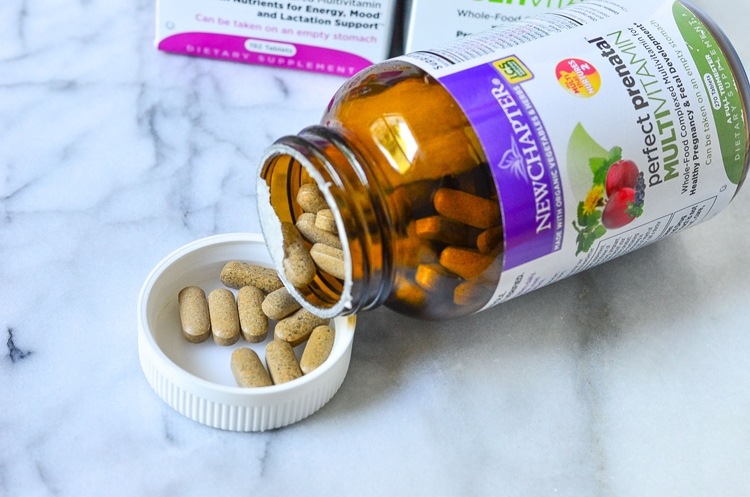 I know one day soon that our breastfeeding journey will eventually come to an end, that being said I still plan to continue taking New Chapter vitamins as a part of my healthy lifestyle. I usually get them at either Amazon.com or The Vitamin Shoppe. 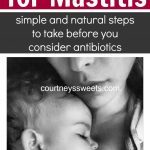 They contain fermented vitamins and minerals, beneficial probiotics, whole foods, and it’s a gentle vitamin, I have never had an issue with them. I think it’s due to their whole-food approach with vitamins.It’s made with certified organic ingredients and Non-GMO verified. People will always have an opinion when it comes to YOU nursing. I’ve thankfully gotten positive feedback, although I do have some who voice their “concerns”. That being said I’m doing what is best for us. 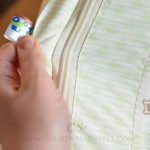 I remember covering up in the beginning and we quickly learned how uncomfortable that was!